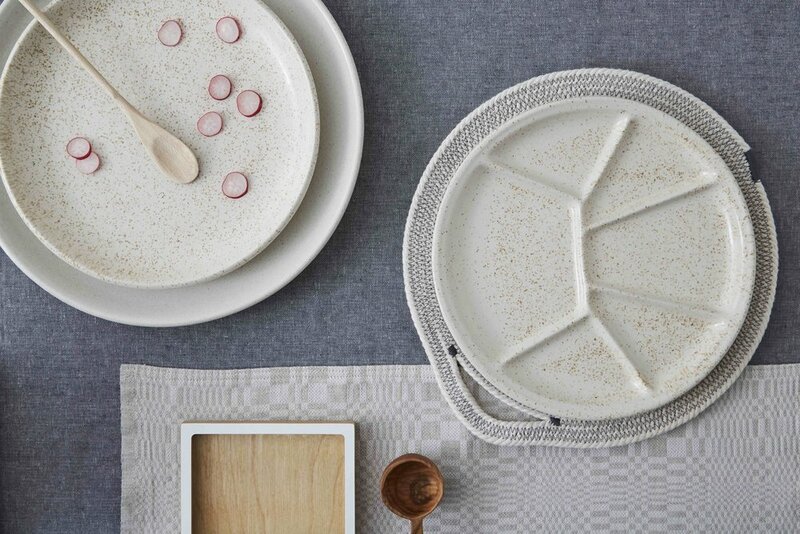 A champion of 'simple living' and a keen cook, Minor Goods sells kitchenware, ceramics, utensils, candles, hand-woven tea towels - many made by designer-makers and small family-run factories. 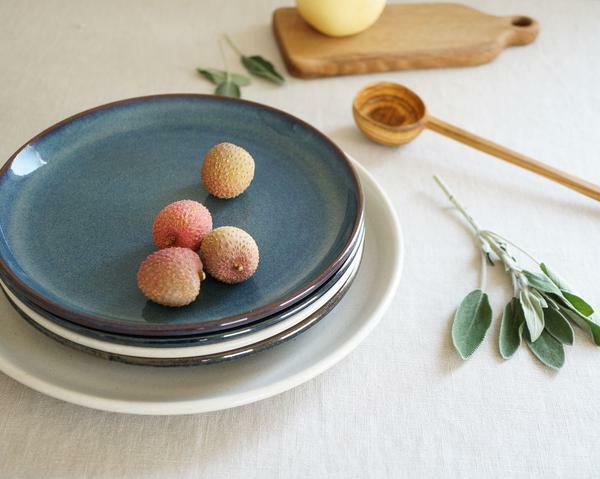 This month sees the launch of their new range of stylishly simple Speckled Stoneware. 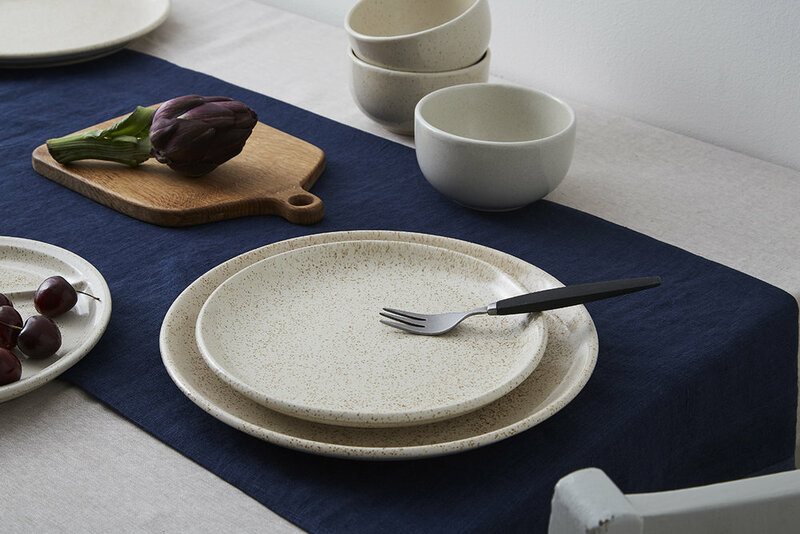 Comprising of a divided plate, dinner plate, everyday bowl and large salad bowls, this is tableware that will make the even the most basic ingredients look as pretty as a picture. Having featured the range on my Wishlist pages in the new April issue of The Simple Things magazine, I thought it would be nice to share some more of these beautiful images here too.